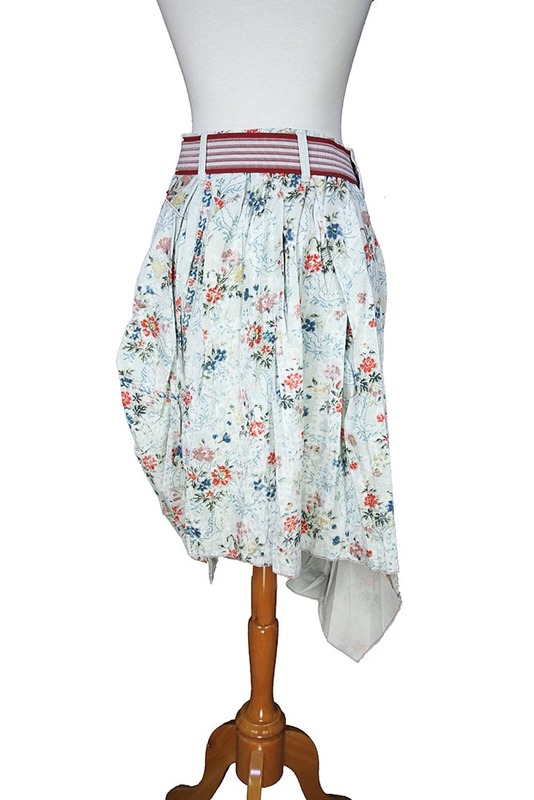 High 'Dabble' asymmetric skirt in vintage style print fabric. Side zip fastening. Belt loops and red stripe, stretch fabric belt with metal buckle. Single pocket on the right with red stripe trim. Elaborate folded fabric, tulip style. Front can be pulled up slightly at the right side using metal clip and ring fastening. Shorter at the rear. Stunning Summer skirt.